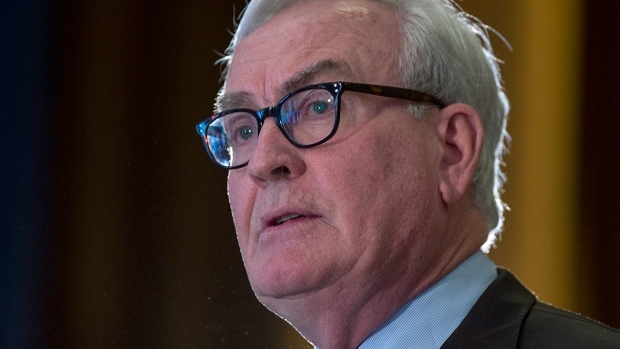 FREDERICTON -- New Brunswick's Liberal party has confirmed Kevin Vickers is the lone candidate for its leadership, setting the stage for his acclamation. The party's leadership steering committee says it decided late Wednesday to recommend to the party's board that the former House of Commons sergeant-at-arms be appointed leader. The steering committee says it still wants the June 21-22 leadership convention in Saint John to proceed, "with an altered itinerary." The only other declared candidate, Rene Ephestion, leader of the party's Multicultural Inclusion Commission, announced earlier this week that he is withdrawing from the race. "I wish good luck to Kevin Vickers," Ephestion said on Facebook. The provincial Liberals under then-premier Brian Gallant won just 21 seats in an election last fall -- one fewer than the Tories -- and they relinquished their hold on power in November after losing a confidence vote in the legislature. Premier Blaine Higgs' minority government is relying on support from a third party -- the right-leaning People's Alliance, led by Kris Austin. 'An unknown political quantity': Vickers' challenge, and opportunity, in N.B.